*hits a few buttons on a console* Alright, I think I've got this... *scrolling through screens* Ah-HA! Here it is! This week's episode of the Aftermath on Star Trek: Asterisk! 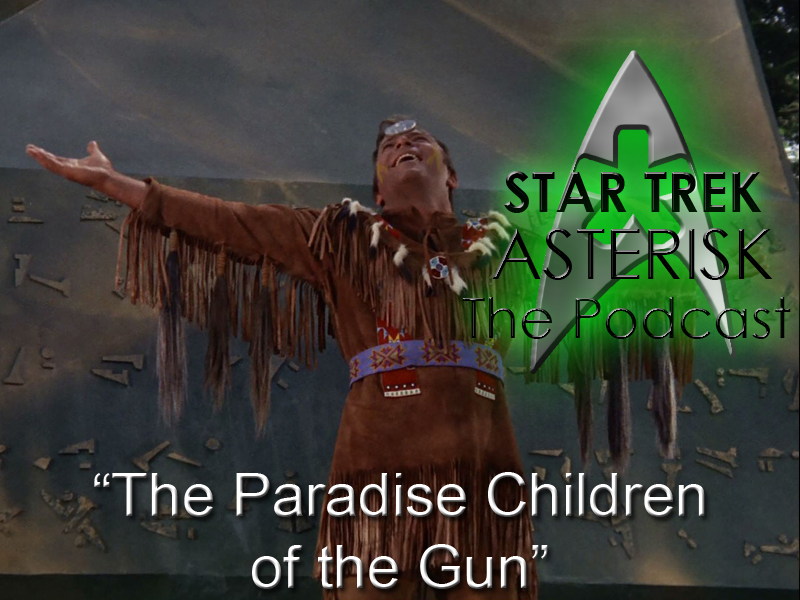 Steve and I have gone through (and again) a trio of episodes from season 3 of The Original Series: "Spectre of the Gun", "And The Children Shall Lead", and "The Paradise Syndrome". Join us for round two here. Once again, be sure to go back and read Steve's written reviews. Plus, HAILING FREQUENCIES ARE OPEN at (513) ASTRISK (278-7475). And finally, join us this and every Thursday at 6PM Eastern for the live show. Now let me get going to fix our warp core before the show tomorrow! 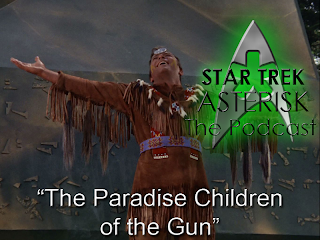 Should have been called "Children of the Paradise Gun." That would be an awesome story.